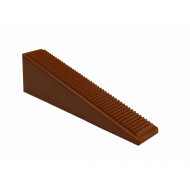 The leveling wedges are designed to allow them to be resistant to traction, in order to be able to adjust large format pieces quickly and effectively. Once the work is finished (setting the glue / mortar), we can remove the leveling wedges in a simple way with a simple lateral hit on the base in the direction of the joint, and thus the wedges are released. 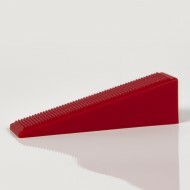 The leveling wedges are re-usable for various uses. The wedge of Mustang and Pony guarantees the uniformity between the tiles avoiding movements during the adjustment of the mortar / glue. Wedges There are 9 products.